If you’ve been waiting for a fun car with sleek European styling; for leading-edge technology and amongst the best in safety; for sporty performance with the license to do – then you don’t have to wait any longer. Break out of the box and turn every day into the perfect day with the all-new, all-action, turbocharged Levorg. Stay in tune on the road with Levorg's highly sophisticated infotainment system that puts you in control. Revel in a bright LCD touchscreen, similar to that of a smartphone. It has both voice and touchscreen functionality, while the full colour display ensures a crisp and clear view both day and night, with bold, beautiful graphics. Levorg 1.6 GT features a 6.2” pressure sensitive touch display for audio, phone and settings. While Levorg 1.6 GT Premium, Levorg 2.0 GT-S and Levorg 2.0 STI Sport have a 7" touch display for audio, phone, sat nav, apps, information and settings. Subaru Levorg 1.6 GT Premium model shown. You’ll know when the car in front moves on a green light, even if you’re not looking. Because our EyeSight® Driver Assist system will tell you. Handy, right? When the car in front of you moves at a green light, we’ll let you know it’s time to go. So the driver behind you doesn't have to. Steering backwards down a cluttered, narrow driveway? Subaru Levorg eliminates the guesswork, with a sophisticated rear view reverse camera. 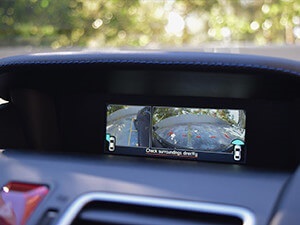 Like having eyes in the back of your head, you can view the camera’s vision on the infotainment display in front of you. 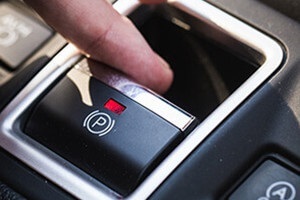 It’s smart yet simple technology that greatly reduces the risk of any bumps and scrapes when you reverse. In the Levorg 1.6 GT Premium, Levorg 2.0 GT-S and Levorg 2.0 STI Sport variants, our proactive safety technologies give you more eyes on the road. 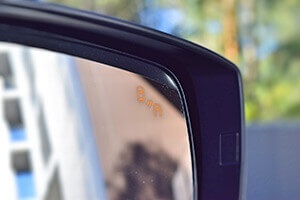 Blind Spot Monitor, Lane Change Assist and Side View Monitor all provide greater peripheral awareness, while Rear Cross Traffic Alert delivers an audible warning while reversing to warn of oncoming traffic approaching from the side. Forget about arguments over directions. 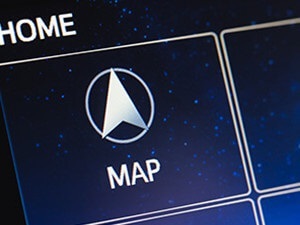 Sit back and let the satellite navigation system show you the way. 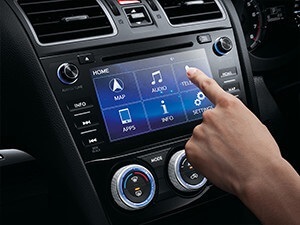 Built into the infotainment unit, it features full colour display and clear, simple audio instructions. 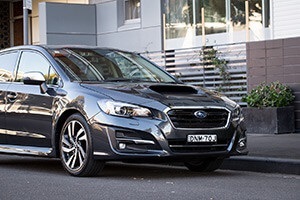 Featured as standard in Subaru Levorg 2.0 GT-S and Levorg 2.0 STI Sport. Levorg is the performance car to do what you love, with those you love. 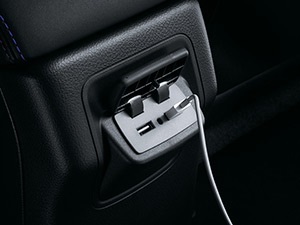 Charge your phone in the USB port or connect your phone to Levorg and press play. Enjoy intuitive Bluetooth® connectivity for hands-free calls. Stream your music and podcasts wirelessly. Make voice recognition commands or push steering wheel controls as you keep your hands on the wheel and your eyes on the road. No matter where you adventure, you and your passengers can stay connected with AUX and USB ports in the front open storage area. And an extra USB port in Subaru Levorg 2.0 GT-S and Levorg 2.0 STI Sport variants. From dual zone climate control air-conditioning to driver information and sat nav on selected variants, Levorg makes every drive epic. Thanks to brilliant improvements, you’ll get more power and efficiency from the all-new direct injection 1.6L Boxer engine. It now delivers a gutsy 125kW of power at 4800-5600rpm and 250Nm of torque from 1800-4800rpm. 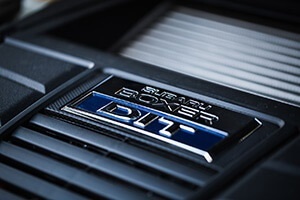 Designed for the pure enjoyment of driving, the horizontally-opposed direct injection Boxer has been finely tuned to deliver optimum power, torque, exhaust emissions, fuel economy and idling stability via Subaru’s Dual Active Valve Control System (DAVCS). 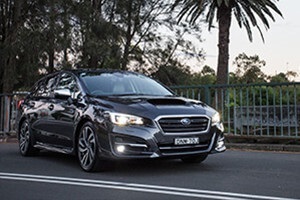 The punchy, turbocharged 2.0-litre engine delivers 197kW of raw power at 5600 rpm and 350Nm of torque from 2400-5200 rpm, with large exhaust tips fitted for the STI Sport. With the superior grip of the legendary Symmetrical All-Wheel Drive system, Subaru Levorg is ready for any road or rugged mountain ahead. It grips the road with all four wheels, all of the time, giving you double the traction capacity, greater precision and, with the Boxer's lower centre of gravity improving stability and traction, even more cornering power. The turbocharged Subaru Levorg is smart enough to adapt its driving style to suit your day, thanks to Subaru Intelligent Drive (SI-Drive). 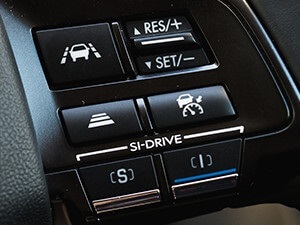 Choose from Intelligent (I) mode for everyday driving. Sport (S) mode for enhanced acceleration and sporty performance. And in the 2.0 GT-S and 2.0 STI Sport engage Sport Sharp (S#) mode for a truly exhilarating drive. Experience a smooth gear change with no discernable steps or shifts, thanks to the Lineartronic™ CVT in the Subaru Levorg. The first ever longitudinally mounted system for AWD vehicles, it optimises the gear ratios to the driving conditions – making for the best possible driving experience possible. Lineartronic™ CVT is extremely responsive whilst traversing winding roads and hills, with super strong pulling power, and incredibly smooth in urban and highway conditions. EyeSight® Driver Assist system is like your second pair of eyes, spotting potentially dangerous situations like cyclists up ahead. It alerts you to take action and can apply the brakes automatically if you don’t. Our award-winning third-generation EyeSight® Driver Assist system works by capturing 3D images through cameras on the front windscreen. The third-generation EyeSight® Driver Assist system boasts an expanded field of vision that can sight multiple items at the same time, an extended length and width of camera view by 40%, enhanced pedestrian avoidance, and advanced pre-collision braking assist and pre-collision steering assist features. Manoeuvring back into a tight side street? Driveway littered with hard-to-see things? 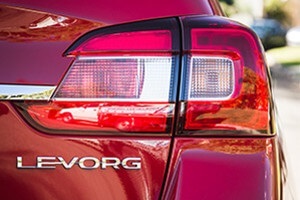 Subaru Levorg makes reversing safer than ever before. Every Levorg is fitted with a rear view reverse camera as standard. It’s like having eyes in the back of your head. 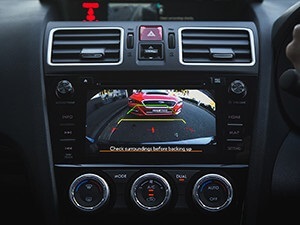 The rear view reverse camera helps to greatly improve your visibility and reduce the risk of any bumps and scrapes, so you can get on with your day. Thanks to its clever combination of collision protection technology, Subaru Levorg has achieved the maximum 5 star ANCAP safety rating. 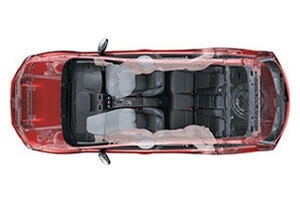 This is a result of an incredibly rigorous safety innovation program, which includes seven SRS2 airbags – dual front, dual front side, curtain-style and driver’s knee – and a whiplash reducing design, which provides extra support for passengers’ head, neck and torso. In case of an accident, the ring-shaped passenger cell redirects impact energy around your passengers, while the body frame is structured to distribute the impact to reduce cabin distortion. Add to that energy absorbing crumple zones and pre-tensioner front seat belts. Now enjoy the drive with the confidence of top-rated collision protection technology. Grip hold of slippery rainy streets. 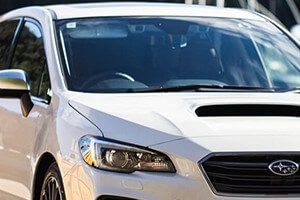 In true Subaru style, Subaru Levorg uses our Symmetrical All-Wheel Drive (SAWD) system that gives you optimum control and double the tractive capacity of a two-wheel drive car. Because four wheels grip better than two. It’s active safety at its best. Imagine if your wing mirrors could alert you when there’s something in your blind spot. Or if your car could guide you perfectly into a parking spot. 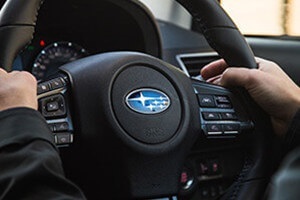 We made all this happen – and more – with Subaru’s Vision Assist technology, available in the Levorg 1.6 GT Premium, Levorg 2.0 GT-S and Levorg 2.0 STI Sport. 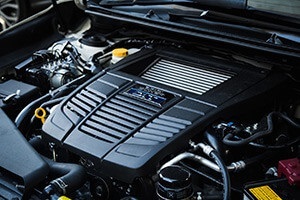 The famous Subaru Boxer engine is not only a great performer; it also reduces the risk of injury in a severe frontal collision. This is because it’s designed to sit lower and flatter in the engine bay than traditional engines, so it will slide below the cabin – not through it – in an accident. 1. Bluetooth® is a registered trademark of Bluetooth SIG Inc. System operation is subject to the Bluetooth® wireless technology specification of individual's phone. Give the Eblen Subaru Sales Team a call at Glenelg - 08 8350 7777 or Enquire Online.